Some unusual boulder fields lay scattered across Pennsylvania and New Jersey. What’s special? The rocks ring like bells when struck with a hammer. Despite the rocks’ popularity, the question of why they ring has been largely abandoned by scientists. The only rudimentary answers appear in an obscure publication in 1970 by a Rutgers researcher who barely left a digital trace. 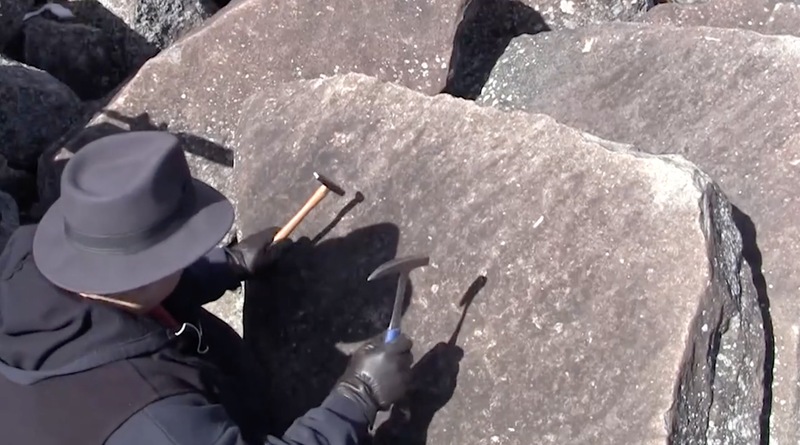 So Scienceline correspondents Harrison Tasoff and Marissa Shieh went out to one of these boulder fields with geologist Lawrence Malinconico of Lafayette College and composer Joseph Bertolozzi to experience and explain the ringing rocks. Fascinating and fun! Well done too!